Cute as 2 buttons. 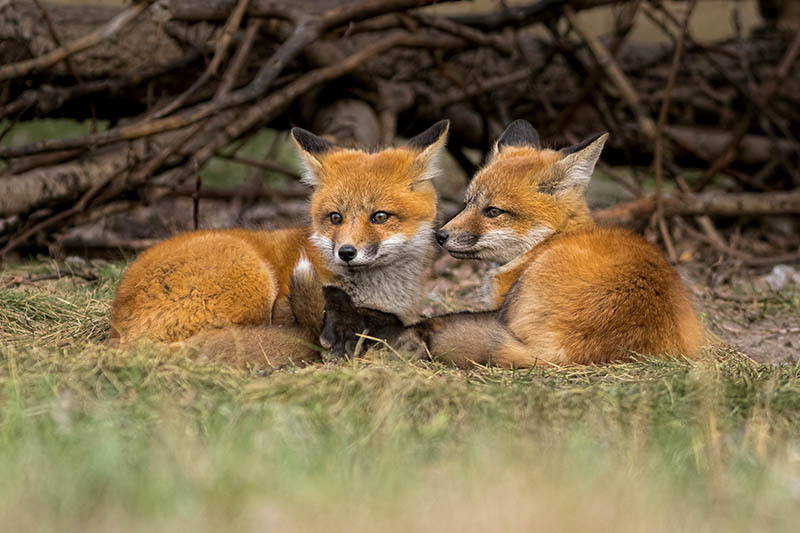 They look very cozy cuddled up together-nothing like little foxes to please. I wonder about cutting out a bit of the oof foreground. But very nice as is too. As Cindy said. so cute. 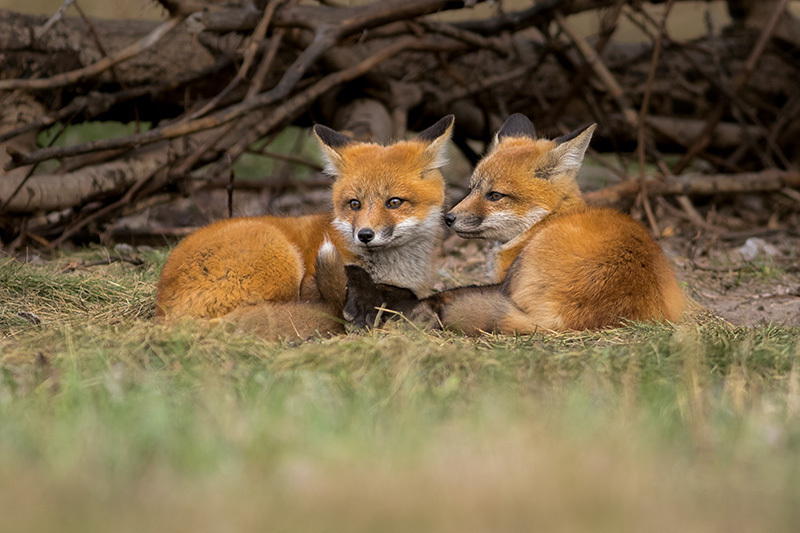 What a cute pair of kit foxes, Leigh. I agree with Cindy's suggestion on trimming some off of the bottom. Nice shot. Another vote for losing some of that oof foreground, Leigh, but the cubs are so sweet! Now you're talking, Leigh...... My eye isn't distracted anymore from enjoying your capture of this adorable pair. Very cute Leigh, I agree on removing a bit of the foreground.